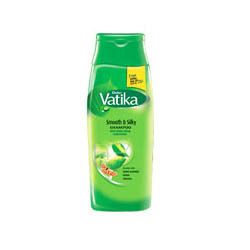 Dabur Vatika Smooth and Silky Shampoo is a natural shampoo that conditions from deep within, while gently cleansing and nourishing your hair. Its offers the gentle and caring touch of nature that leave your hair soft, silky and radiant. Sesa Herbal – Anti Dandruff Therapy is a composition of 18 powerful herbs, 8 essential oil & milk for Kshir pak Vidhi. The world might have given you numerous things like ornaments, apparels and many more to enhance your beauty and flaunt it.. But what nature gave you, your original skin, your original asset is something you should be proud of and show off.